The International Kiteboarding Organization issues IKO Kiteboarder Cards to all graduates of their kiteboarding programs. 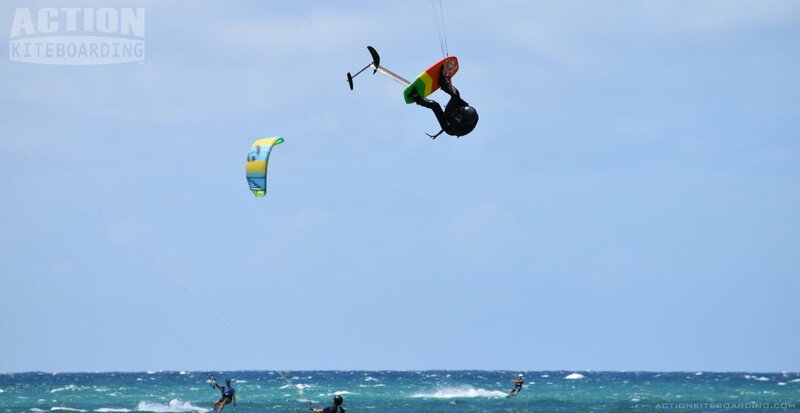 IKO Kiteboarder Cards are the Kiteboarder’s Driver’s license for kiteboarding. IKO Cards are a proof of your Kiteboarding Ability and are great for proving your level of proficiency whenever you travel. 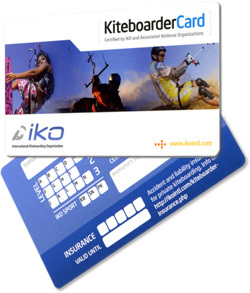 IKO cards are required to kite in many restricted areas. And IKO Cards are required to rent equipment in most places. Whenever you get a lesson from an IKO certified Instructor, you will ALWAYS get a card. Whenever you get a kiteboarding lesson or checkout ride, Insist on using an IKO instructor who can issue you the card. Insist on having an IKO certified instructor because only an IKO certified Instructor can issue you with one of these cards. Otherwise you are wasting your time and money. IKO Cards are recognized everywhere in the kiteboarding world.